Rockland County in suburban New York City has seen a big improvement in its fiscal health. Budgets in the county (2017 population: 328,868) have been quite tight. “When I took office, the Comptroller’s Office listed Rockland as the most fiscally stressed county in the state. But in September, New York State Comptroller Thomas DiNapoli released the 2017 Fiscal Stress Monitoring System report which showed Rockland County as now having ‘Moderate Stress,’ an incredible turn around,” says Rockland County Executive Ed Day. The proposed 2019 Rockland County budget, which outlines $709,050,000 in planned spending, has been cut to the bone. 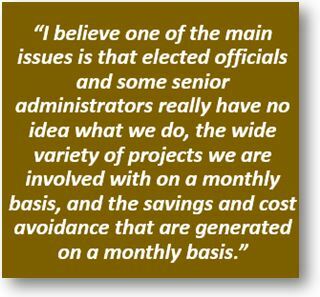 County fiscal planners had to cut departmental budgets to deal with a $13 million budget gap. Costlier health insurance premiums, increased pay in labor contracts, higher interest payments on county bonds, increased spending to rebuild the county’s infrastructure and higher costs to pay for state-mandated programs helped contribute to the shortfall. “We are seeing 2019 county operational budgets relatively flat. There are concerns regarding sales tax revenue, due to the tariffs and how they may affect pricing and consumer confidence,” Rockland County Director of Purchasing Paul Brennan tells Coop Solutions. Brennan is both a Certified Public Procurement Officer and a Fellow of the NIGP: The Institute for Public Procurement. New Year’s resolutions take on many forms. Whether it’s kicking a bad habit, curbing meals to lose weight or perhaps a making a greater effort to keep in touch with family and friends beyond the occasional social media post, a new calendar year often begins with the best intentions. Such intentions may also call for an evaluation of spending in hopes of socking away a little more in retirement accounts or building a coffer for future tuition needs of soon-to-be high school graduates. Similar efforts to save across the government also begin with individual resolutions and don’t necessarily require meticulous analysis. Introduced as a replacement for the Army Suggestion Program, the Army Ideas for Innovation, or AI2, program became fully operation in 2017 and strives to capitalize on A innovative and creative solutions put forth by civilian and uniformed members of the service that contribute to cost savings, increased productivity and improved processes. The call for innovative solutions by the government aimed at realizing cost savings isn’t necessarily a novel concept. In fact, a lesser known workforce goes about that task as its daily endeavor. Members of the Army Acquisition Corps possess a combination of requisite education, experience and certification levels vital in carrying out their duties to include contracting. They make up about 34 percent of the Army acquisition workforce consisting of approximately 38,500 professionals responsible for developing, acquiring, fielding and sustaining equipment and services to meet the Army’s present and emerging needs. Contracting officers in the 1102 career series and Soldiers in the 51 Charlie military occupational specialty at the Mission and Installation Contracting Command make up a subset of the Army Acquisition Corps. They are responsible for acquiring equipment and services that support service members from the time they voluntarily raise their right hand in solemn oath to serve this nation through retirement as part of the Soldier for Life initiative. In fiscal 2018, MICC contracting officers and Soldiers executed almost 30,000 contracts valued at more than $5 billion. This included contracts for professional scientific and technical services, administrate support, remediation services, construction, manufacturing, educational services, accommodations, food services, and utilities just to name a few. MICC contracts are vital in feeding more than 200,000 Soldiers every day, ensuring installation readiness with many daily base operations support services, readying more than 100,000 conventional force members annually, training more than 500,000 students each year, and maintaining more than 14.4 million acres of land and 170,000 structures. The Federal Acquisition Regulation (FAR), which governs processes for acquiring contract goods and services by the DoD as well as all executive agencies, serves as the bible for contracting professionals. It prescribes policies and procedures for negotiating contract awards using other than a sealed bid. By using one or a combination of source selection approaches, MICC contracting officers obtain the best value in a negotiated acquisition. Employed by contracting officers every day, negotiation tactics can spell significant savings and increased benefit for the Army both on a smaller scale for relatively low-dollar buys through reverse auction as well as with complex acquisitions. As many government contractors discover, skillful negotiation benefits both their respective industry interests and the government as each strives for innovative pursuits to meet operational priorities and focused efforts. The significant role by MICC contracting professionals in the transition of rotary aircraft maintenance services between contractors at Fort Rucker, Alabama, earlier this year illustrates the value the contracting workforce bares on the Army’s efforts to save costs. The innovative approach to the $4.7 billion contract presents the potential for 191,000 extra flight hours over the next 10 years, according to the GAO, estimated at a DoD benefit of $876 million. MICC contracting professionals also contribute to government savings by reducing opportunity costs that take on a not-so-tangible form. Efforts by the command to standardize acquisitions for full food services and base operations this year offer enterprise-wide solutions for not only decreasing bid and proposal costs but also dramatically curbing touch labor and procurement acquisition lead time. 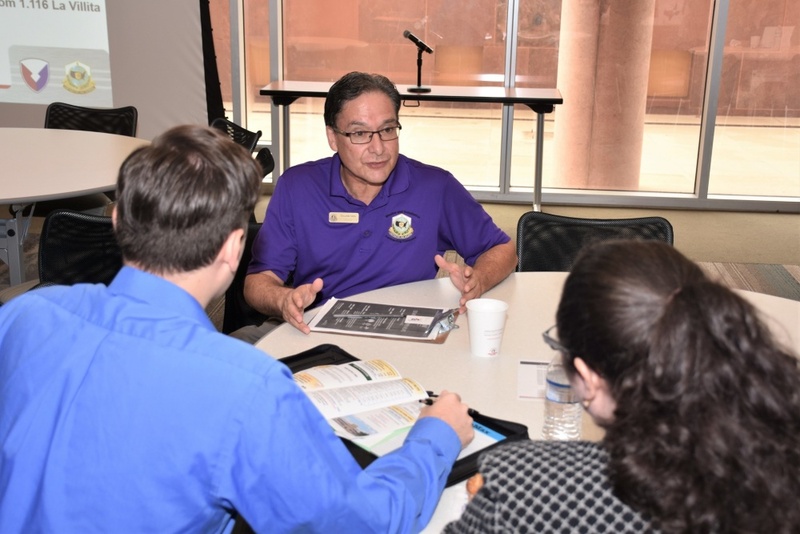 Not only does the contracting workforce save the Army money, but also those savings – both tangible and intangible – allows leadership from supported organizations to redirect those funds and resources toward other mission priorities. As trusted business advisers to their mission partners, MICC contracting professionals are dedicated to the timely delivery of contract goods and services in support of Soldiers and the Army’s commitment to readiness. Since fiscal 2015, the federal government’s 73 inspectors general have identified $87 billion in potential savings that could be realized if agencies eliminated questionable expenditures and made more efficient use of federal funds. While agencies have adopted many of these findings and addressed issues of waste, fraud and abuse revealed in IG audits and investigations, thousands of recommendations issued every year are not implemented. The Health and Human Services Department’s inspector general, for example, is tracking more than 1,200 open recommendations. As of May 2017, the HHS IG’s open recommendations included reducing tens of millions of dollars in Medicaid and home health care fraud; protecting Medicare beneficiaries from opioid addiction that cost the Part D drug program in excess of $4 billion in 2015; and clamping down on millions of dollars in improper payments to a child care and development fund. The next few years may bring significant challenges for federal acquisition organizations. While most agencies will complete the fiscal year 2017 contracting cycle without facing major upheavals, fiscal year 2018 may bring the beginning of a sea change for acquisition and federal agencies at large. 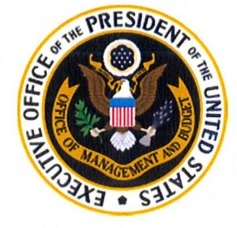 As signaled by the Office of Management and Budget Memo 17-22, “Comprehensive Plan for Reforming the Federal Government and Reducing the Federal Civilian Workforce,” OMB is calling for agencies to take a wholesale look at their performance, cut costs and prioritize programs. As agencies strive to minimize the impact to their mission, support functions will be under the microscope, especially acquisition. Acquisition organizations will necessarily be on the front line of supporting this efficiency push. Lower budgets and shifting policy goals will mean mission delivery will be even more reliant on acquisition professionals’ abilities to get flexible and high-quality goods and services at the best cost. OMB M-17-22 specifically calls on agencies to consider governmentwide contracts for common goods and services and to avoid redundant contracting actions. Additionally, the memo calls on agencies to investigate external providers or outsource when the total cost would be lower. Is momentum building for another round of BRAC? First it was Senate Armed Services Chairman John McCain, R-Ariz. Then came the drafters of President Trump’s fiscal 2018 budget request. Now it’s an ideologically diverse roster of think tank defense specialists urging a long-reluctant Congress to grab some savings by reviving the dreaded Base Closure and Realignment Commission (BRAC). Last week, the House and Senate Armed Services panels received a letter from 45 notables — among them Gordon Adams of the Stimson Center, Michèle Flournoy of the Center for a New American Security, Derek Chollet of the German Marshall Fund, Brandon Arnold of the National Taxpayers Union, William Hartung of the Center for International Policy, Michael O’Hanlon of the Brookings Institution and Christopher Preble of the Cato Institute.